Fewer than half of American adults have wills, according to a survey reported on by the New York Times. But this is a dangerous statistic. Having a will is extremely important, the Times reports. It decides where you money and property go after you die. Without a will, your belongings will automatically be distributed according to state law. That’s probably not want you want. 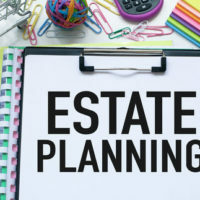 And then there are other important estate planning documents that could save you and your family a lot of stress and heartache, including health care surrogates, which allow a person of your choice to make medical decisions for you when you are unable to yourself. According to the New York Times, Katie Roper, vice president of Caring.com, advises that everyone 18 or older — not just elderly people — should have a health care surrogate. “If you have a children 18 or older away at college, she said, making sure they have such documents can help make sure you are able to discuss their treatment, should an emergency arise,” the article states.